The Tiger Temple was a venue in Thailand that started breeding tigers for tourism encouraging “selfies” with tourists, including parents putting their babies as small as 4 months old, to sit on the stomach of an adult tiger (one of the most obvious dangerous things you could do). But this is how the Tiger Temples marketing machine worked, luring people to believe that “Monks and Tigers lived in harmony”, however behind the scene’s sickening abuses and disappearances of tiger began occurring as early as the 1990’s . Many tourists rushed to get up close to these otherwise solitary animals, but were never told of the multiple bites and mauling the tigers would do once they became fed up with being chained, beaten, exploited and abused. The Tiger Temple had a multitude of foreign volunteers working in the temple, some short term, some long term. While some volunteers were sickened by what they saw and immediately left, others stayed for long periods of time (years). 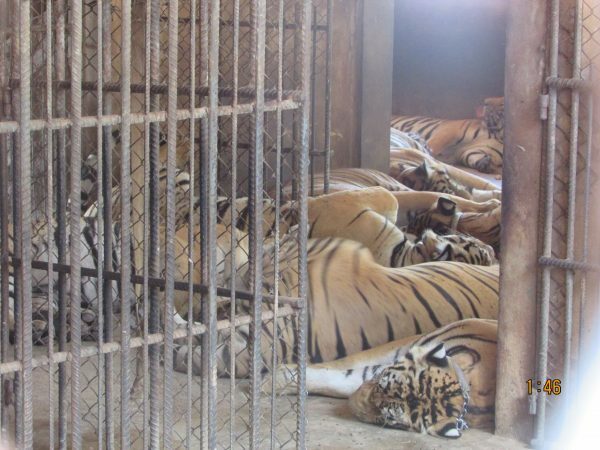 These volunteers called the Tiger Temple their home, and would turn a blind eye to all horrifying abuse. While the disappearances of multiple tigers occurred over years, not one long term volunteer stepped forward to reveal the truth of what was occurring. 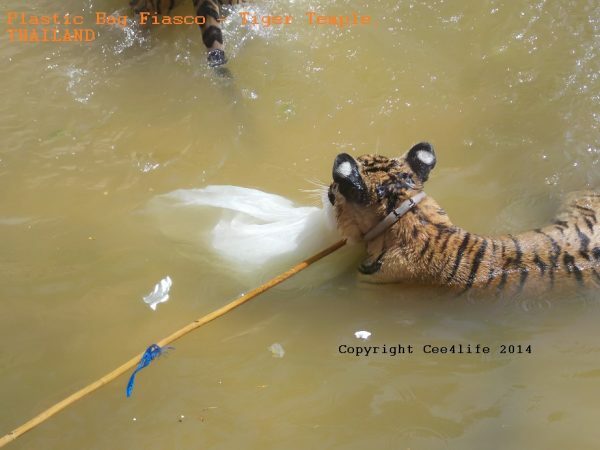 Members of Cee4life and the general public recruited by Cee4life, investigated the Tiger Temple for nine years to gather the evidence of the trafficking and abuses in order to save the lives of these magnificent tigers. Cee4life presented all evidence to the Department of National Parks Thailand in December 2015. When the final raids began by the Department of National Parks Thailand in January 2016, which coincided with the National Geographic release of their confirmed findings and Cee4life’s The ‘Tiger Temple” report, the Tiger Temple put up a fight to keep the Department of National Parks Thailand out of the grounds of the Tiger Temple. Cee4life presented the Department of National Parts with a second report in late May 2016, which chronicled the illegal sales and transport of tiger body parts across multiple countries. The Department of National Parks Thailand recommenced their raid on the Tiger Temple in June 2016 in which they found multiple dead tigers among other animals, and multiple tiger body parts and other bottled tigers were found. 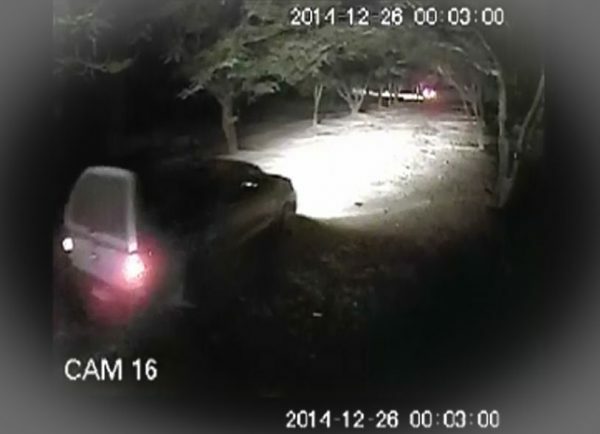 A vehicle tried to escape the Temple grounds, but was caught with tiger skins and thousands of tiger body part necklaces trinkets, which were also worn by many of the foreign staff and other temple workers. The temple was closed. Charges are still pending on the killers of these tigers. Many of those who abused and exploited the tigers are associated with the newly formed group called “For Tigers”. The “For Tigers” article does ask one relevant question, “Where are the tiger temple tigers now”, the answer is – they are in the Department of National Parks facilities, but still the ex volunteers of the Tiger Temple, responsible for savage abuses and turning a blind eye to the disappearances of so many tigers, still lurk around them. For transparency purposes, we feel the need to reveal the role of some of the members of “For Tigers” and what they actually did to protect the tigers during the years leading up to the confiscation of the tigers of the Tiger Temple in Thailand. One word – nothing. It is very well known and proven that the tigers of the Tiger Temple endured multiple abuses which they were subjected to by some of the members of the “For Tigers” organisation, however “For Tigers” fails to chronicle the disappearances and the deaths of the tigers at Tiger Temple which occurred under their watch. They fail to state how for years they denied this abuse existed and denied any vanishing tigers, and they fail to come clean and admit how they turned a blind eye to such heinous atrocities. One astounding and vitally important point is how they fail miserably to reveal the extraordinary lengths that many organisations, people and reputable media went to in order to try to protect the tigers and stop the killing and disappearances. They fail to reveal how ex volunteers, including members of “For Tigers”, countered, ignored and refused any and all help offered to stop the slaughter, exploitation and vile abuses, many by their own hands. They fail to reveal that any authentic person who did volunteer at Tiger Temple, and who questioned the abuse of the tigers was immediately belittled, character assassinated and thrown out. The above photographs in this article is a very small look into what happened under the watch of some of these members. So our response, without prejudice is this. Over a period of 15 years, tigers were abused, whipped with chains, planked, dressed up in garish outfits for the pleasure of some of these volunteers. They were hit, beaten, abused, and the ultimate of crimes, they were killed and trafficked and traded for their body parts, and some apparently vanished so Tiger Temple could acquire tigers for stronger bloodlines (as they were so inbred). Lets not forget the making and selling of tiger body part trinkets for tourists – illegal and criminal. Within the Tiger Temple, some of these same people in “For Tigers” irreverently and ignorantly wore the illegal teeth and claws of these tigers against the laws of CITES and Thai Wildlife Act, and one step further, these tiger body part trinkets were transported to multiple countries, where at any point in time, if caught, the punishments could have been up to 10 years in jail. The temple staff, including members of “For Tigers”, failed to provide veterinary aid to the tigers when they so desperately needed help. They gave tigers plastic bags to play with, they contributed enormously to the sickening “tiger selfies” fad which at one point was a “must have” on the public tourism itinerary. 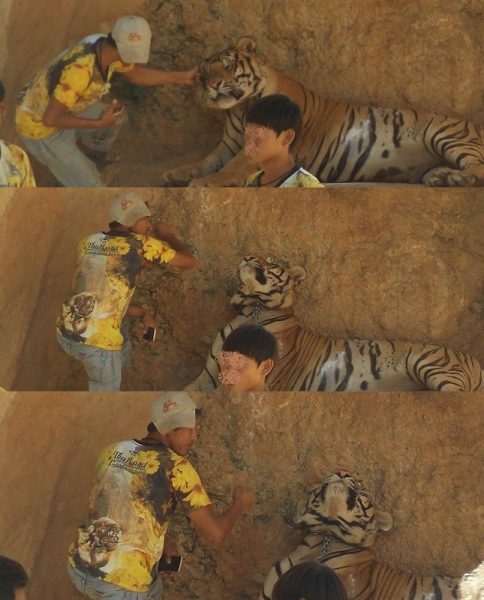 By forcing tigers to endure these sadistic and cruel acts, they are highly responsible for teaching literally thousands of unknowing tourists the most abusive, exploitative and worst way to treat a magnificent tiger. They would place ten or more tigers into one cement jail cell while telling the public that the tigers were living in lush massive enclosures, however 147 tiger in approximately 20 enclosures – do the math. Other staff opened the gates of the tiger temple and allowed tiger traffickers to come into the temple and vanish precious tigers in the middle of the night never to be seen again, and some of the members of “For Tigers” knew all this and more. The tigers were brutalized beyond comprehension, used and exploited like no other venue on the face of this earth, except maybe China and Vietnam. Under the watch of multiple ex tiger temple volunteers (who support For Tigers) not one volunteer associated now with For Tigers had the inclination or courage to stand up and stop these heinous crimes. Some of the members of “For Tigers”, were present inside the tiger temple for approximately nine years. In that nine years, approximately 267 tigers vanished. But their silence was deafening. In the days after the confiscation, the only time members of “For Tigers” opened their mouths was when the Department of National Parks Thailand finally came to close this evil venue. 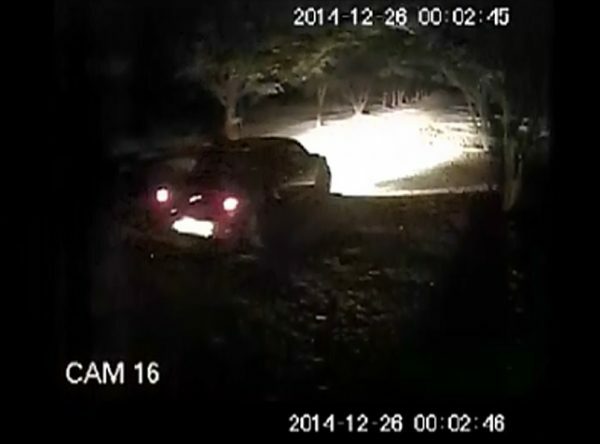 A weak and cowardly action which seems to have only been carried out to serve themselves and save themselves. If the Department of National Parks had not confiscated the tigers, these people in staying with their long term character, would have remained silent and the disappearances and abuse would have continued. It took courage and brave souls to expose this hell and ultimately protect these tigers from their continued horrifying abuses. Yet, we get the distinct impression that “For Tigers” would like to make themselves seem to be the saviors of the very tigers that they betrayed for so long. The “For Tigers” article who’s organisation consists of some of the ex tiger temple volunteers, and who under their watch, knew multiple tigers disappeared, did not have the courage to speak up until it served themselves. The Department of National Parks is caring for the tigers, they belong to the Thai Government. 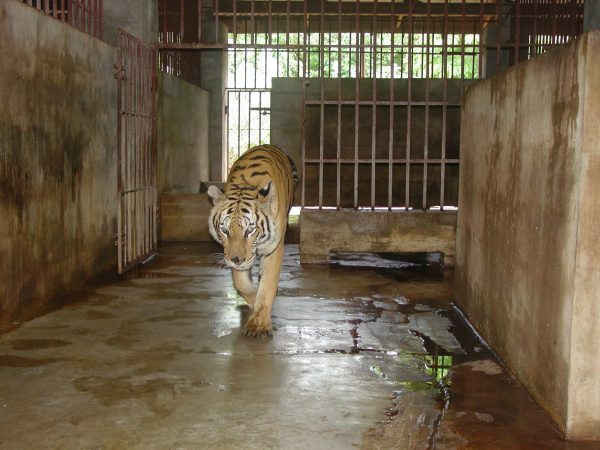 We would like to add that while the tigers lived inside the Tiger Temple, they were in vile cement cells, with no den, and often overcrowded with numerous tigers which forced them to sit in the faeces and urine while their food was thrown on the ground or in bacteria ridden cement bowls. They were deprived of everything. Yet the 20 outside enclosures they managed to build in 15 years, seems to be a point of pride and one which they feel justified that they were caring for the tigers. The claim by the ex volunteers of the Tiger Temple was that the tigers were rotated regularly so each tiger received time outside. 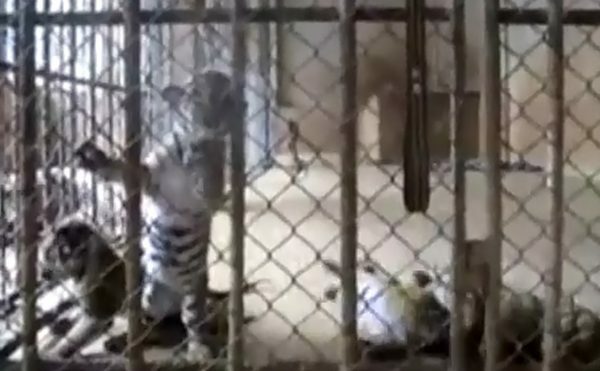 One of our undercover investigators noted on numerous occasions that the rotation of the tigers in these outside enclosures was so minimal that at one point, some tigers didnt see sunlight or touch grass and were not rotated for three months. The Department of National Parks facilities may not be the ultimate living quarters, but the tigers are not being brutalized, exploited, beaten, planked, having selfies, and they are not disappearing in the middle of the night. Dont ever think we have forgotten about the tigers of the temple. Our finale response to the emotionally driven article aimed to pull your heart strings by “For Tigers” and their ex tiger temple members is this – There is not enough that you could ever do in one hundred lifetimes to make up for the atrocities inflicted upon those tigers, many by your own hand. There is not enough that you could ever do to bring back the vanished tigers that were lost under your watch and who you turned a blind eye to and remained silent. So you keep on raising funds under your veiled compassion, which is born from sheer betrayal, you keep on building things for the tigers, for this is the very least you could do. You turned your backs on the atrocities committed on these beautiful tigers for nearly a decade. You committed the ultimate betrayal as you knew what was happening, your shocking in-action lasted for years, and no matter what you do, these things you did will forever be owned and belong to you.